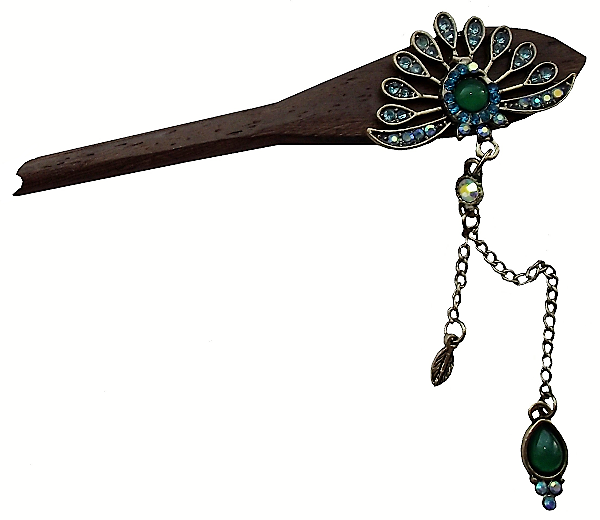 Wooden Chinese hair sticks beautifully decorated with sparkling faux gemstones. The light turquoise blue colour sparkling faux gemstones are designed to look like a peacock's raised feathers. 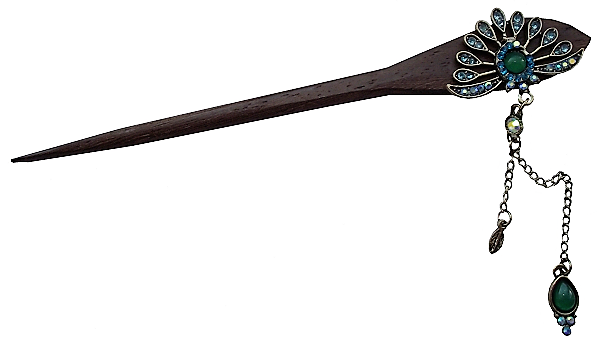 The high quality wooden hair sticks are made from a natural dark colour soft wood, and are adorned with decorative hanging ornamental tassels.